We were commissioned to create table tops and poser bars alongside bespoke wine storage. Working closely with the Newcomer team we manufactured and installed some elegant display units from ash topped metal shelving units to angled wine shelves. The pinnacle of the project was the retractable wine rack wall that we constructed from a metal frame inset with ash for wine storage, caster wheels and overhead runners to allow it to be easily retracted. 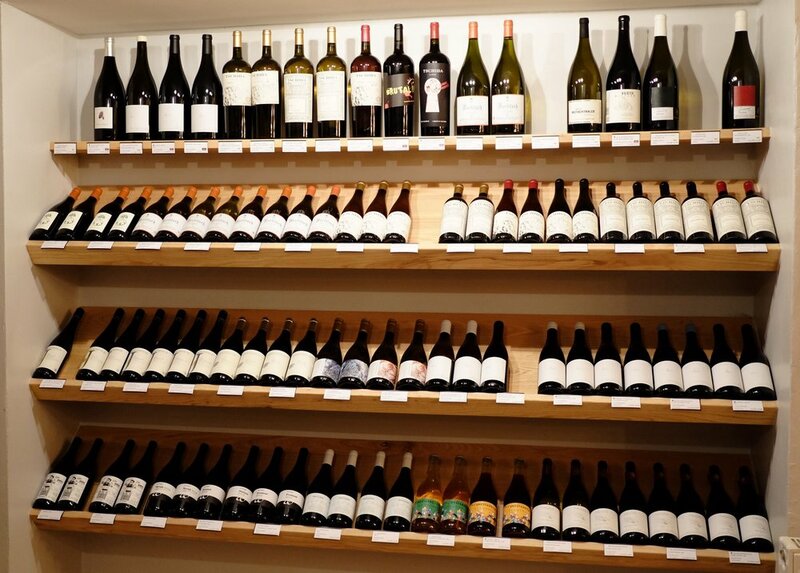 The lightness of the ash timber keeps the space looking clean and lets the beautiful wine bottles take centre stage.